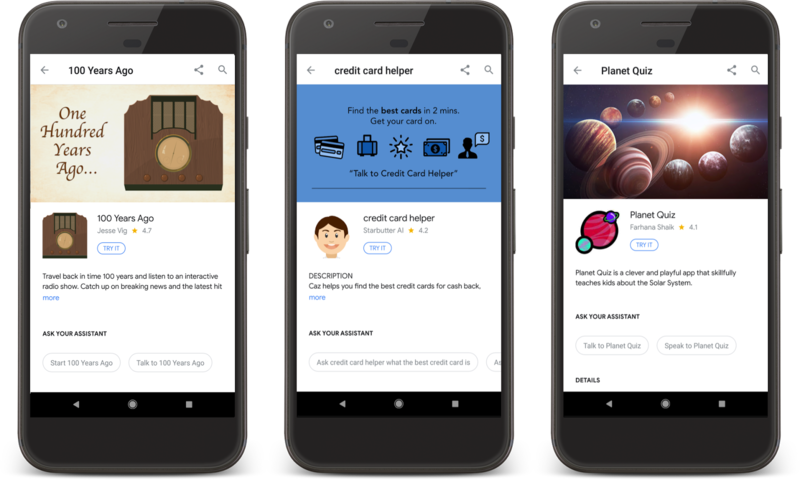 This past year we worked hard to make the Google Assistant better for users and developers like you, but we also wanted to find new ways to reward you for doing what you love – building great apps for the Google Assistant. So at I/O 2017, we announced our first Actions on Google Developer Challenge encouraging you to build helpful, entertaining apps for the Assistant. Today, we’re announcing the competition’s winners, chosen from thousands of entries. What it’s all about: Travel back in time 100 years and listen to an interactive radio show. Catch up on breaking news and hit songs circa 1917. What it’s all about: Credit Card Helper analyzes card features, customer reviews, reads the fine print and looks up Consumer Reports to help you find the best credit card offers. What it’s all about: Learn about the solar system with this fun and educational game. In addition to the top three prize winners, we also selected winners among various categories including “best app by students,” “best parenting app,” “best life hack” and more. You can read up on all of the winners’ apps here. Congratulations to our winners and to all those who submitted an app as part of the contest – we can’t wait for users to check them out! Happy holidays and happy New Year. We can’t wait to see what the next year has in store. Be sure to follow us on Twitter and check out the Google Assistant developer community program to stay in the know for 2018!